Square Enix held a Kingdom Hearts 15th Anniversary Commemorative Campaign Preview Night at the Square Enix Café Osaka in Japan today (October 13th, 2017) to celebrate the Kingdom Hearts 15th Anniversary, as well as to celebrate the Square Enix Café Osaka's grand opening in Japan, which is happening tomorrow October 14th, 2017. The Preview Night was held from 18:00 - 21:00 JST, and the meeting place was Osaka Umeda Yodobashi 1st Basement. There was no entry fee. Instead, 40 Square Enix Japan members were selected by lottery to be invited. 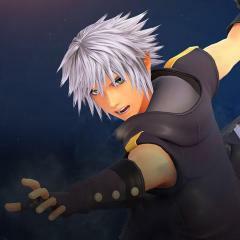 The series director Tetsuya Nomura, executive producer Shinji Hashimoto, Kingdom Hearts III co-director Tai Yasue, and lead character modeler Mr Yamasaki made a surprise appearance during the event. They some comments about Kingdom Hearts III as well as the future of Kingdom Hearts Union χ[Cross]. The main attraction of the night was, however, the introduction of the Kingdom Hearts themed menu which included various food items and drinks. A variety of art was also showcased at the event including original artwork drawn by Nomura, and exclusive merchandise, including previously event-exclusive merchandise, has been made available for purchase for the duration of the campaign. This event precedes the collective campaign event between Square Enix Café Osaka, Square Enix Café Tokyo, and ARTNIA for the Kingdom Hearts 15th Anniversary. This will be held at both Square Enix Cafés plus ARTNIA. ARTNIA will be holding it from October 14th, 2017 to December 14th, 2017, and both Square Enix Café Osaka and Square Enix Café Tokyo will be holding it from October 14th, 2017 to November 10th, 2017. Tickets were made available for purchase starting October 6th, 2017. You can check out more info about this event here. Thanks to KH13 staff member Mio-chan and LadyAleister, we have translations on some of the information given by Nomura, Hashimoto, and more at the event, and also some impressions of the Twitter users. - Sora's birthday isn't specified, but it should be the day of his debut (March 28, 2002), just as other Disney characters. - There is desire of making supporting characters and Organization XIII mini figures, so Nomura will think about it. - Sea Salt Ice Creams at the event had winner sticks among them at the event which attendees were able to be exchange for a free coaster. - They worked hard to host the Café, and maybe there are no more chances to do so, so Nomura asked everyone to enjoy that month. 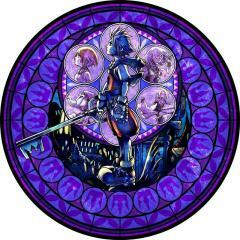 - There is no schedule for a release of Nomura’s art collection at the moment. - There is also no plans for selling a Promotional Video collection for now. - The staff said that the release of the Kingdom Key prop replica should be asked to Bandai, as they are the ones who Disney handed the rights to. You can view images of the preview below, thanks to Dengeki Online, 4Gamer, Game Watch, and Famitsu. There are also a few images from the attendees @uk1gum0oo, @yossthan, @yoki_3yam, @KH_NoXIII, @axy415, @Laaaaaaaagu, @EXkhs, @HOMO_NAOCHIKA, @Kazaton, @9namasuxi, and @sonzaisinaimono. What do you think about the Kingdom Hearts 15th Anniversary Commemorative Campaign Preview Night for Square Enix Café Osaka's grand opening? 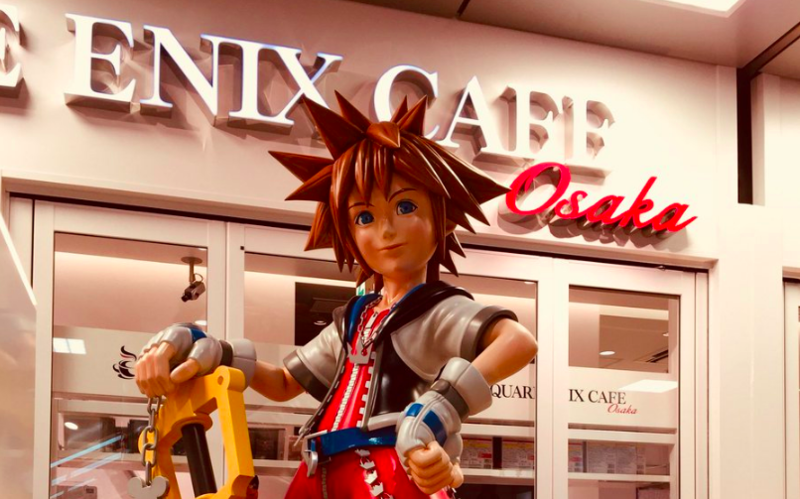 Are you planning on going to Square Enix Café Osaka, Square Enix Café Tokyo, or ARTNIA for the upcoming Kingdom Hearts 15th Anniversary collective campaign? Let us know down in the comments below! "KH Ux won't be completed even after KH3...". I... don't think I like this. This is not confirmed as I'm still translating this one. Don't take it seriously for now. This is not confirm as I'm still translating this one. Don't take it seriously for now. I knew it, I knew it that Sora's Birthday was in March 28 all along. I wish they could do stuff like this in America. I bet you that specialty cafes would make major money here. Especially that Sea-Salt ice cream. KH4 will probably deal with Luxu, the MoM, and the Lost Masters. KH3 will deal with 13 seekers and 7 guardians. So, in Imperial units, Sora is 5'3", and Xehanort is over 5'11". I still can't wait to see Kairi and Riku's costume! Oh boy, looking at the food is making hungry! P.S. 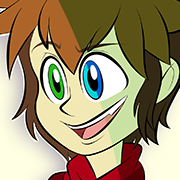 I just looked up Yuffie on the FF Wiki and Yuffie's height is the same height as Sora at 160cm. 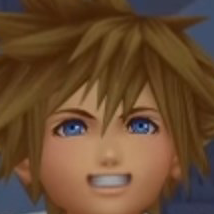 So if Sora's 160cm as of KH2, then how tall was Sora in KH1? It looked like he grew a good bit taller as of KH2. It's nice to get these tidbits but all I really want now is a solid release day. I mean really, what did you guys expect. Mr. Nomura himself said that the Master of masters will not appear in Kingdom Hearts 3 and from my opinion, the contents of his box will only be revealed in the secret ending of the game. As long as Union χ doesn't contain information that is crucial to understanding Kingdom Hearts III, I don't think that this will be a problem. Edit:read it again and noticed my mistake, but one of the points still stands, even more so with Ux. The setting in kh has the potential to expand beyond sora, what better game to do that than the one that shows a time when keyblades were more widespread. You say it like this is news. For years now it has been common knowledge that kh 3 will only end that arc. Of course Nomura has to listening to his overlords, but so far kh has been a success so there's no reason to stop and I don't want then to. The setting in kh has the potential to expand beyond Sora, which it already has really. If you simplify things kh has a lot of similarities to star wars. Mysterious powers,the death of all those that were able to wield that power leaving only a few remaining, good vs evil, group of friends facing obstacles. I really don't like this. I would've hoped that we could start the new saga fresh without any of this confusing stuff. I'm so firetrucking jealous just imagen that in your country there is this café! OMG I WANT TO BE THERE! Characters.. As much as I like the X Saga, it is part of the Dark Seekers Saga. I don’t want it to be the story set up for the brand new KH Saga. Rob liked that Xenmas looked so Japanese, but did see that his model needed to be worked on. YX's model needs more work the most. His ear was so noticeable. Ven is Ven. As expected. Lauriam isn't Marluxia. Yeah, the same way Roxas is his own being so he isn't Sora. Rob needs the ages of Terra (not really since it can be deduced thanks to Xemnas' age, Ven (can be deduced as well), and Aqua during BBS. "Are you planning to create models such as Masuo (Japanese YouTuber), that you don't quite know about in the dishes?" Yamasaki: "Yes! I'll make sure to do it! But making it public depends on Nomura. I've colored in black the one I did." When Rob read that yesterday, it did not make any sense. What do model's have to do with a Japanese YouTuber? Especially, when Yamasaki was the one who mentioned that Xemnas and YX faces were still not finished. Lauriam is himself, and not Marluxia. Huh? What on God's green Earth does that mean? I assume it means that Lauriam is his own person before he lost his heart and became Marluxia. KHI's note on that was "When asked if Lauriam is Marluxia, Nomura merely answers 'Lauriam is Lauriam'", so possibly it's just Nomura being coy for whatever reason and not necessarily a hard statement. I apologize for this mistake, as I don't know all the nicknames gave by japanese fans.